Gutter cleaning is an important part of home maintenance. 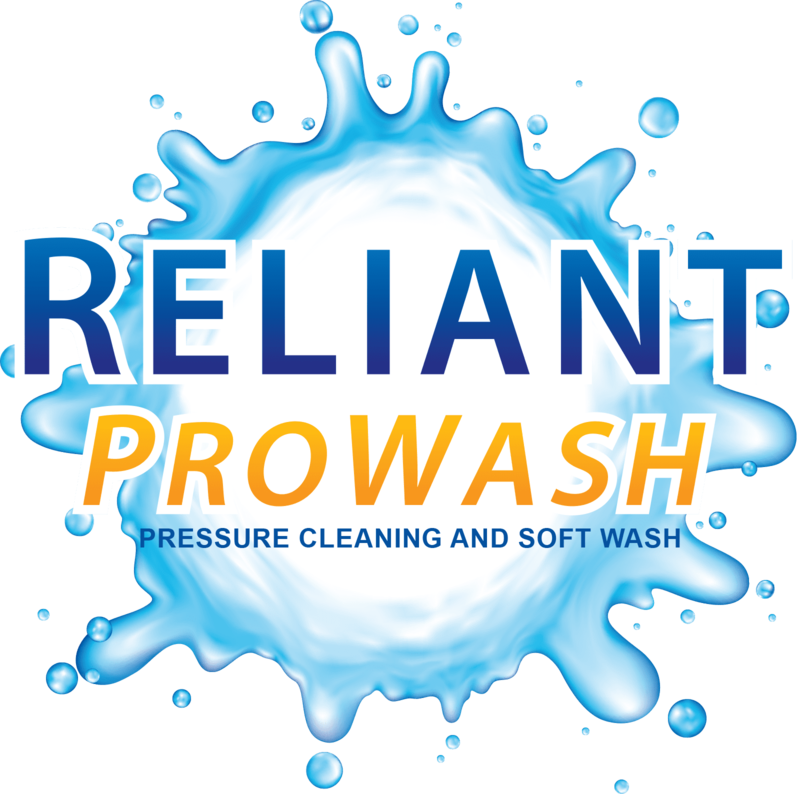 Reliant ProWash can clean and remove debris from gutter interiors, as well as brighten and remove striping from gutter exteriors. This striping is cause by paint oxidation running down the face of the gutter with rain, or overflow from gutters, and cannot be cleaned with a standard house wash detergent. When cleaning interior gutters any debris on the roof will also be removed. Interior gutter cleaning should be done in the late Spring, and early Fall of each year. Some homes may need less frequent cleanings depending on the surroundings. Clogged gutters can be irritating to walk under, but can also cause serious damage. Overflowing water can leak between the gutter and fascia board, rotting the fascia prematurely. Water can back up under shingles, causing leakage in your homes' attic. The weight of the debris in the gutter can also put extra stress on the surface the gutter is attached to. Keeping them clean will help avoid these issues. There is no need to spend your time on a ladder dealing with gutter goop all weekend when you can call Reliant ProWash, and enjoy your time off.